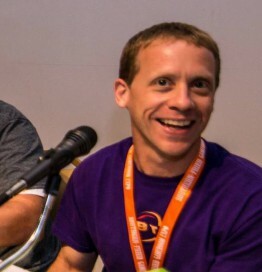 Brent Griffith is the co-host of the popular Brokentoken Classic Arcade and Pinball Podcast. He grew up during the golden age of arcade and home video gaming. Brent’s home game collection, inspired by a desire to learn about electronics repair, began 10 years ago. Initially collecting and repairing video games his game room soon expanded to pinball and currently includes his prized Addams Family. When not hunting the next game or working on the podcast with Whitney Roberts, Brent works in the Information Technology field in his hometown of Louisville, Ky.